Do you want to reach a global maternity and midwifery audience of health care professionals, managers and government representatives? Do you have ideas, services or products you want to roll out to maternity professionals in new countries? Do you want to create a digital and video profile that gets shared around the world? Does your work contribute to the latest science, technology and regulation changing the face of maternity? 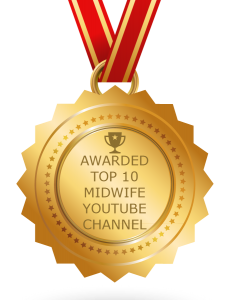 Would you like your work to be recognised and distributed on one of the top 10 midwifery YouTube channels in the worldd? Watch our short IME video to find out why you should join us at The International Maternity Expo and Awards on 12 and 13 November 2019 in London. 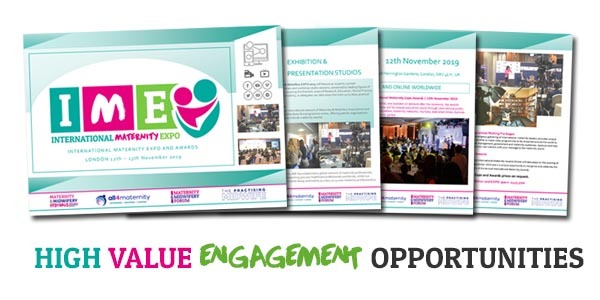 The International Maternity & Midwifery EXPO 2019 features an expertly curated programme of filmed seminars and workshop studio sessions, presented by leading figures of the Maternity community covering the thematic areas of Research, Education, Clinical Practice, Transformation and Sustainability, so delegates can take away the most up to date, practical clinical knowledge. Commission a studio presentation and get your services or products in front of an international maternity audience of key decision makers. If you would like to know more about how to become part of the International Maternity Expo and Awards, please contact Karen Stewart on the following details.